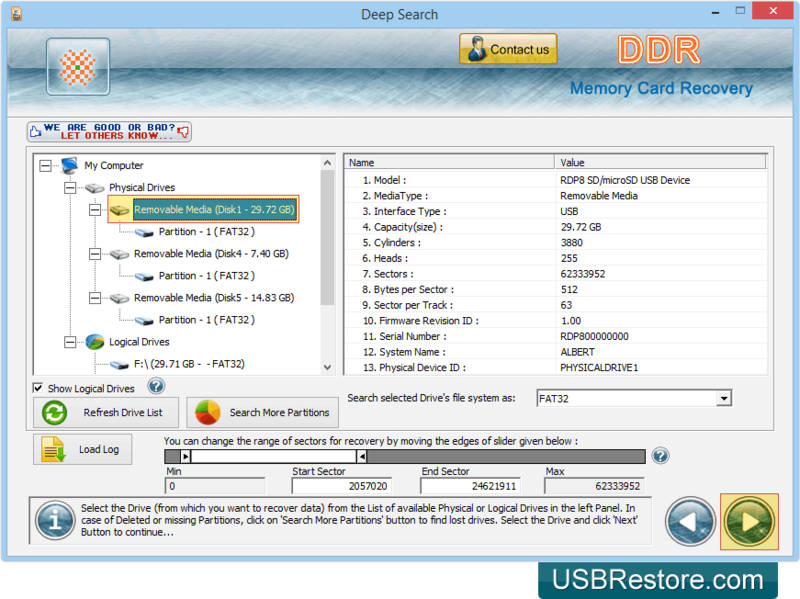 Select removable media from left panel and click Next button to continue. Recovery process is in progress. 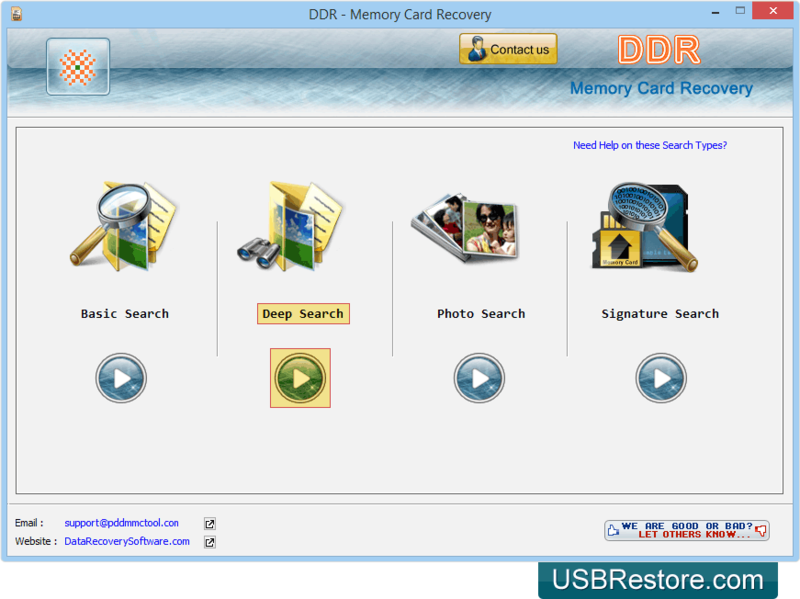 You can see the current status of recovery process. Data is recovered successfully. 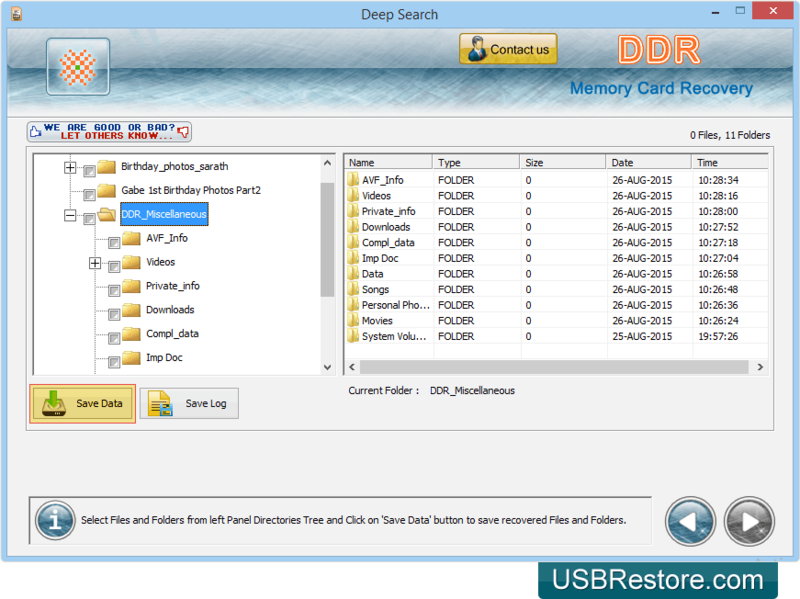 Select data folders and click 'Save Data' button to save recovered data files.